No doubt, we are each experiencing a range of emotions as we go through disruption and change after a heated and polarizing election. No matter whether you are experiencing anxiety or joy, it is valuable to make it a practice of noting your emotions and not making them wrong. Our emotions serve a valuable purpose, they are energy in motion, e-motions that spur us to taking action or refraining. When we are excited about a project, we are mobilized to jump in and begin. When we feel hesitant or afraid, we are more likely to put off taking action. Also, when you acknowledge (without judgment) your emotions, they more readily move through you naturally. A feeling of anger or worry can naturally dissipate with attention. Of course, if we continue to ruminate on an issue and magnify our emotion, we continue to experience the feeling. Some emotions require us to simply be with them without hoping they shift or leave. The more you become aware of your own emotions the more readily you will be able to notice and give empathy to others. As humans, we are continually experiencing a range of emotions. 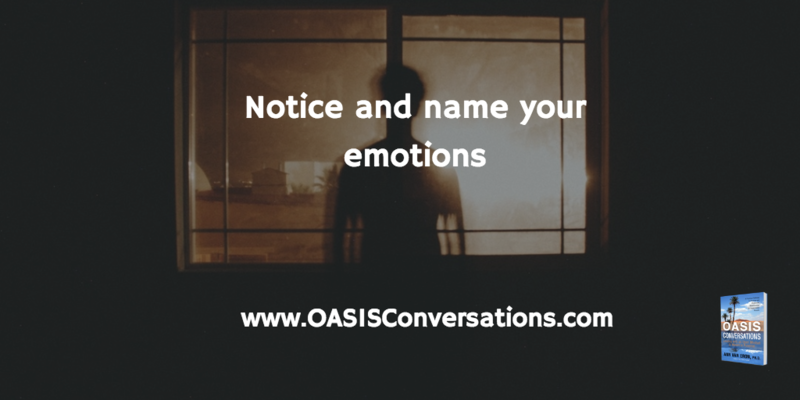 Make it a practice of naming your emotions. Just notice and name.